Artie and his best friend Bumshoe have stumbled upon a Cave-of-Possibly-Stolen-Stuff, and along with it a gang of shady characters including scary Mary, fang-toothed Funnel-web and the devious Mayor Grime. Meanwhile, Artie's next-door neighbour Gladys's beloved tortoise Gareth has gone missing... and Artie suspects the cave has something to do with it. 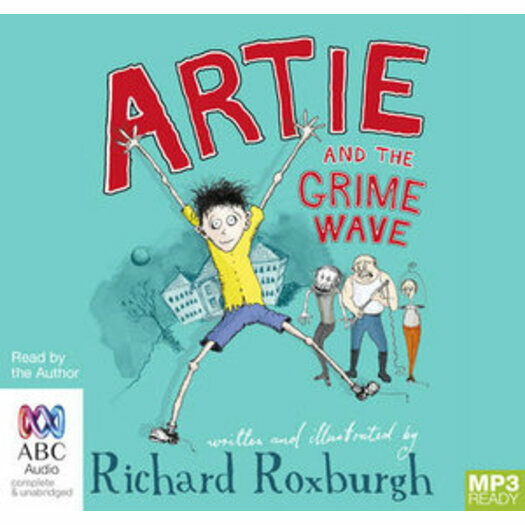 Artie and Bumshoe's attempt to catch the criminals in the act leads to a chaotic chain of events that involves kidnapping, puppy-dog cutlets, modern art and pioneering the sport of the bungee-wedgie.